Natsuko Kawahara from Stokke presenting their work to promote Norwegian baby strollers in Japan. 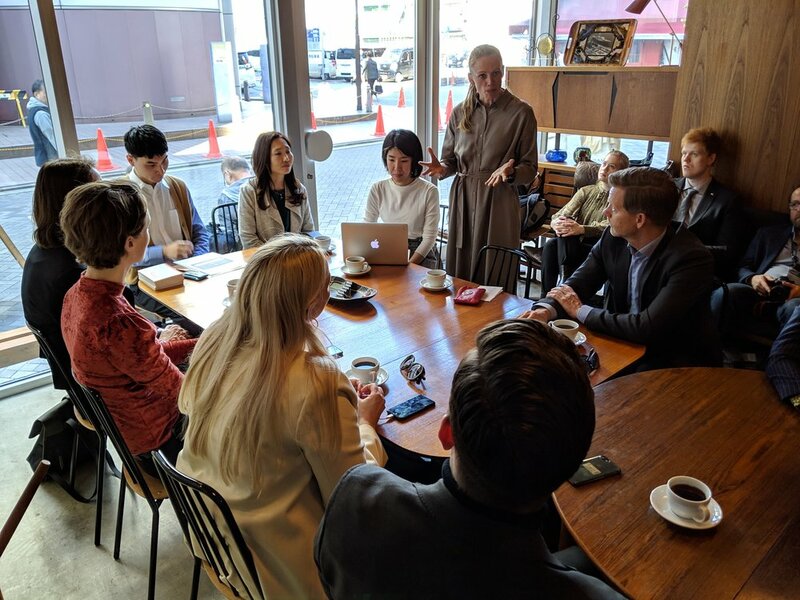 Recently a delegation from the Norwegian Standing Committee on Family and Cultural Affairs came to visit Japan and the Norwegian Embassy in Tokyo. 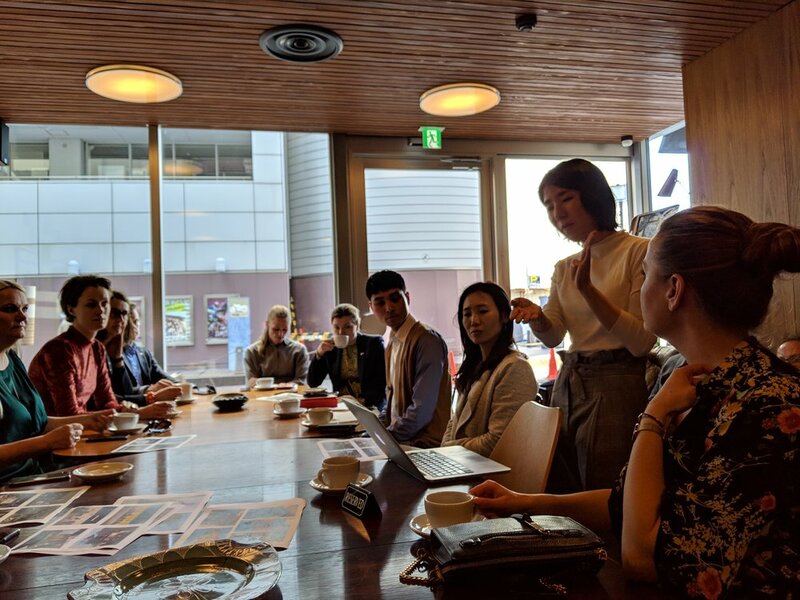 As a part of their program, we gathered at Cafe Fuglen Asakusa along with our Corporate Members Fuglen and Stokke for an informal session about their work to promote Norwegian products and lifestyle in Japan. First up, Fuglen’s head architect and leader of Norwegian Icons, Ms. Wakiko Fukuda, gave a brief introduction to Fuglen’s efforts of bringing Norwegian vintage design to the Japanese market. Through the Norwegian Icons project, she has been engaged in identifying and selling a wide range of products through their store. She could tell that although it is the bigger products that help them create profit, their most sold product is a lampshade. Next up was Representative Director & Country Manager at Stokke Japan, Ms. Natsuko Kawahara, and she explained among others about how their strategy of targeting high-end customers successfully helps grow their business despite the decreasing number of babies being born in Japan. One reason for this is that often wealthy grandparents buy Stokke products for their grandchildren. With the session, we hope that the delegation could gain a deeper understanding of the work and methods these companies use to promote Norwegian products in Japan. Scandinavian design is hugely popular on the Japanese market, and it is inspiring to see the positive results coming from the hard work of Fuglen, Stokke and other Norwegian players.